Who are the best poker players to have graced the green felt? Which players have perplexed their opponents, wowed the crowds, bluffed, betted and folded with that flair of genus that only a handful of men, out of millions, attain? From the steamboats to the saloons, from Vegas to the internet, poker has undergone a dramatic evolution. Today there are more players, and more professionals, than ever before. But among the novices, tourists, mathematicians, degenerates, rounders, high-rollers, hustlers and online grinders, a tiny elite of legendary names regularly surface in the ongoing debate about the greatest poker player of all time. Ungar was an enigmatic New Yorker and son of a bar owner and illegal bookmaker. A self-destructive but generous reprobate with a razor-sharp mind and a supernatural instinct for reading the game, his talents extended far beyond the poker table. He was unbeatable at gin rummy and destroyed his closest rivals with such fierce certainty that the queue of challengers dwindled to zero. He applied his genius to blackjack too and won hundreds of thousands of dollars before the casinos banned him from playing. But it was poker where he achieved immortality. The fast-talking gin prodigy settled in Las Vegas in the late 1970s and was soon a regular in the high stakes poker cash games. Despite having limited experience, Ungar took to poker with lightening speed. Doyle Brunson later claimed that he’d never seen anyone pick up the game as quickly as Stuey. In 1980 he became the youngest ever winner of the World Series of Poker (WSOP) Main Event and was christened with a new nickname, “The Kid”, a reference to his tender age and scrawny frame. He successfully defended his title the following year. Ungar had an unrivalled record in the world’s biggest poker tournaments. He became the only player to win the WSOP and Superbowl of Poker Main Events three times each. His success spanned several variations of the game including holdem, draw and stud. By the end of his career it was estimated that he had won over $30m from poker. Ungar’s talent for poker was matched by a capacity for self-annihilation. Money won from cards was usually squandered on sports bets. In the early eighties he developed a cocaine addiction that would torment him for the rest of his life. He constantly went from millionaire to bust and would often solicit loans for drugs under the pretence of rebuilding his poker bankroll. In 1997, emaciated and gaunt, his nose septum completely devoured by cocaine, Ungar begged a fellow player to lend him the £10k needed to sit in the WSOP Main Event. He came first, crushing a field of 312 players and announcing his return as the king of the card room. Eighteen months later, having declined to defend his title, Ungar was found dead in a low rent Vegas motel room. At his very best, Ungar played poker with an aggression and creativity that was years ahead of its time. Sadly, we’ll never know how far his potential could have gone. Chip Reese very nearly sidestepped poker immortality. On his way to Stanford University to study law in 1974, he dropped by Las Vegas for the weekend for a little low stakes poker. His bankroll was a modest $400 but within days he had won $60’000 in a seven card stud tournament. And so it became. Goodbye Law School, Hello Poker. Reese honed his card game skills as a young boy under the guidance of his mother. At college he won so much money from his fellow students and lecturers that they named the campus card room after him. Settling in Vegas in the mid 1970s, he quickly built a reputation for himself as one of the best cash game players in the city. Reese mainly shunned the tournament scene, favouring cash games which he felt where more profitable. Despite this, he still claimed two WSOP bracelets in 1978 and 1982 before adding a third in 2006. His 2006 victory came in the inaugural $50’000 H.O.R.S.E event which is a tournament combining five variations of poker. Success at H.O.R.S.E. requires extensive poker ability; success in the biggest H.O.R.S.E tournament in the world takes genius. In 1979, Reese was asked by fellow player, Doyle Brunson, to write the seven card stud chapter of Brunson’s seminal strategy book, Super/System. He became such a respected and trusted figure in the game that the Dunes casino asked him to manage their cardroom. Later on he was part of “The Corporation” which took part in the highest stakes poker game in history and was also a pivotal figure in The Big Game at the Bellagio Card Room. At the age of 40, he was the youngest ever inductee into the poker hall of fame. Chip Reese died aged 56 in 2007. Doyle Brunson gave him a fitting farewell. “He’s certainly the greatest poker player that ever lived,” said Doyle. Phil Ivey is a relatively recent addition to the poker aristocracy but is already considered one of the game’s legends – a testament to the numerous honours and vast wealth he has built over the last decade. Ivey is both a throwback to yesteryear and a thoroughly modern pro. He goes searching for action with the same lunacy and indifference to money as Stu Ungar, Jack Strauss and the old Texas gamblers who were capable of betting on any event at any price. At the same time, Ivey maintains a presence in online and televised poker, building the kind of reputation and public profile that is considered the hallmark of professional players in the 21st century. Despite this, he rarely makes self-promotional media appearances, relying instead on an audacious playing style and sixth sense to fortify his place at the top of the poker community. Ivey learnt the game in Atlantic City in the 1990s. Anchored to his seat in the Taj Mahal card room for days on end, he was soon given the nickname “No Home Jerome”, thanks in part to his fake ID which bore the name Jerome. Like many budding legends, “No Home Jerome” lost money to the best poker players and card sharks of Atlantic City in those very early days but improved his game immeasurably and took it to Vegas where he won his first WSOP bracelet in 2000. Over the course of the next decade he added seven more bracelets to that tally, becoming the youngest and quickest player ever to reach that figure. Victories in the Monte Carlo Millions and World Poker Tour boosted his bankroll further. Ivey is one of the few poker players to succeed in the largest cash games in both live and online play, whilst notching victories in the world’s biggest tournaments seemingly at will. His expertise pervades through all formats of poker – a rare talent! Between 2004 and 2006, he was a member of the infamous ‘Corporation’ which relieved billionaire banker, Andy Beal, of millions of dollars in the biggest game in history. Beal, a gifted mathematician and card player, had come to Vegas and challenged the local big name professionals to a heads-up Texas Holdem contest with betting units ranging between $25k, $50k, $100k and $200k. A syndicate of players combined their bankrolls and took it in turns to play Beal. Ivey’s role in the game was crucial; he pulled the “The Corporation” out of the red by beating his opponent out of $16m. A demoralised Beal ended the challenge shortly after. Johnny Moss is perhaps best known for his role in establishing the WSOP as the biggest poker extravaganza in the world. The inaugural event in 1970 was contested by six of the most prominent names in the game and the winner decided by ballot. Moss received the backing of his peers and became the first ever poker world champion. In 1971, when the WSOP reverted to a winner-takes-all tournament format, he won again. In all, Moss won a total of nine first-place bracelets and was the most successful WSOP player of the 1970s. Born in 1907, Moss was an old-school Texas road gambler who dodged bullets and lawmen in search of action in the Deep South. In the late 1940s he accepted an invitation from his casino-owner friend, Benny Binion, to move to the newly burgeoning Las Vegas and play a high stakes game against Nick ‘The Greek’ Dandalos. The match was said to have lasted for five months. When Nick the Greek finally stood up from the table for the last time and infamously announced “Mr. Moss, I have to let you go”, the Texan had won in excess of $2’000’000 – a momentous fortune in 1949. Over the following sixty years, the Moss-Dandalos encounter become enshrouded in mystery but remains one of the enduring gambling tales from Vegas’ early days. 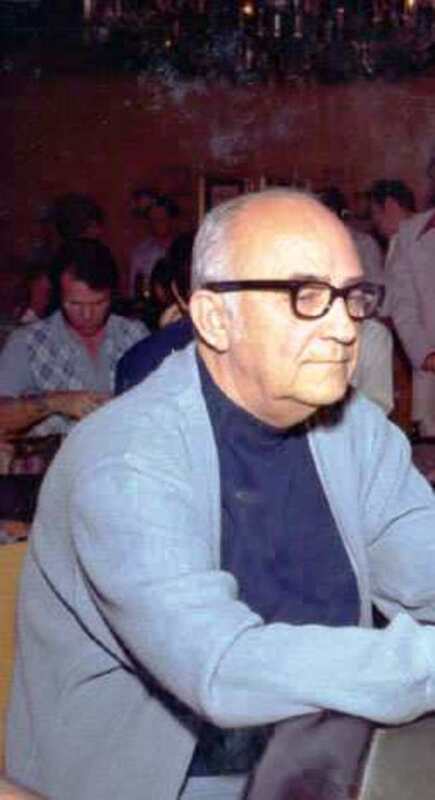 Johnny Moss continued playing poker tournaments right up until his death in 1995 at the age of 88. 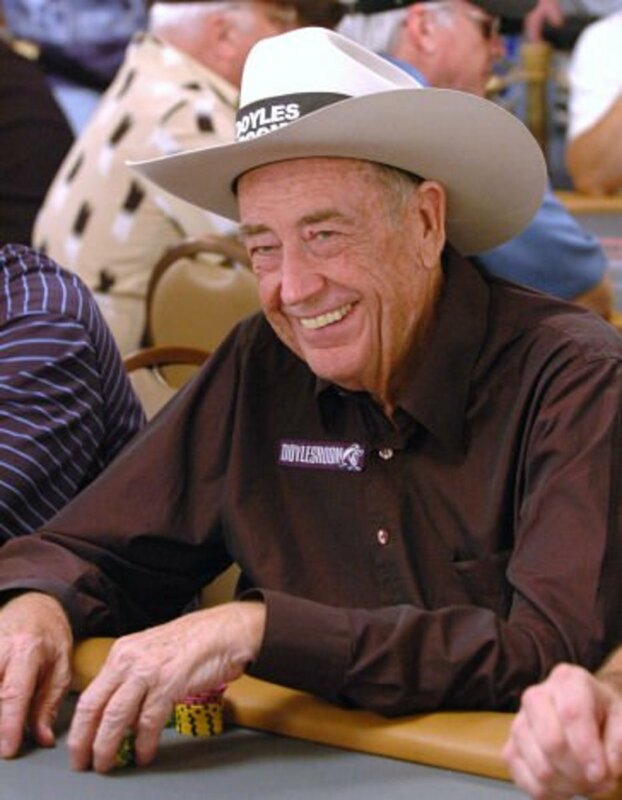 Doyle Brunson has been called The Godfather of Poker. He is the elder statesman of the poker world, a father figure to the game who has witnessed firsthand the staggering transformation that poker has undergone in the last sixty years. 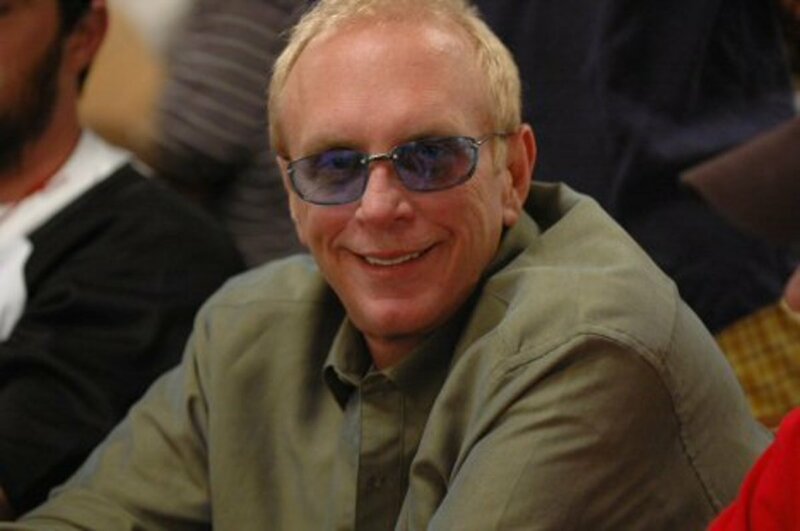 Now in his late seventies, Doyle remains competitive in the biggest cash games and tournaments in Las Vegas. Behind the grandfatherly and genial demeanor lies the battle hardened soul of a man who first made a living from poker when it was necessary to carry a gun as protection. Doyle was a promising basketball player and runner in his youth but a leg injury ended any possibility of a career on the courts or athletics’ tracks. After briefly flirting with a job as a salesman, Doyle found that he could make far more money playing cards and turned to poker for a full time income. He teamed up with other rounders including Amarillo Slim, and they pooled their resources and toured Texas looking for action. Many of the games in those days were organized by crime syndicates. Brunson was the victim of several robberies and assaults during those days on the road and even claimed to have once seen a player shot dead. In the early 1970s he moved to Vegas and became a fixture in the newly formed World Series of Poker. He would go on to win ten first place bracelets over the next thirty five years, currently lying in second place on the alltime list, one behind Phil Helmuth. Unlike Helmuth however, Doyle’s bracelets have come from several variations including holdem, stud, razz and draw. Alongside his WSOP success, he has also added a World Poker Tour title to his trophy cabinet at the 2004 Legends of Poker. Like Chip Reese, Brunson has played a prominent role in the biggest cash games in Las Vegas for over three decades. Despite his advancing years, Doyle even became skilled at internet poker (without quite matching his betting stakes in the real world) and also has a large following of devoted poker fans on Twitter. In 1979 Brunson published Super/System or How I Made over $1’000’000 Playing Poker. The book was one of the first poker instructional guides and in it Brunson shared his poker philosophy, endorsing an aggressive style of play. With all the different variations and formats of the game, and so many playing styles, any article featuring the top five best poker players of all time is bound to be highly subjective and maybe a little controversial. Do you agree with the list above? Perhaps your own list would be made up of five entirely different players? Or possibily you concur with my selection but disagree with the order? Feel free to vote in the poll below or leave a comment. Erik Seidel is definitely number 2! He is so underestimated … In my opinion he's the greatest poker player alive … only surpassed by Stu. With over 6000 votes how can both Johnny Moss and T.J. Cloutier have zero votes? Rigged! 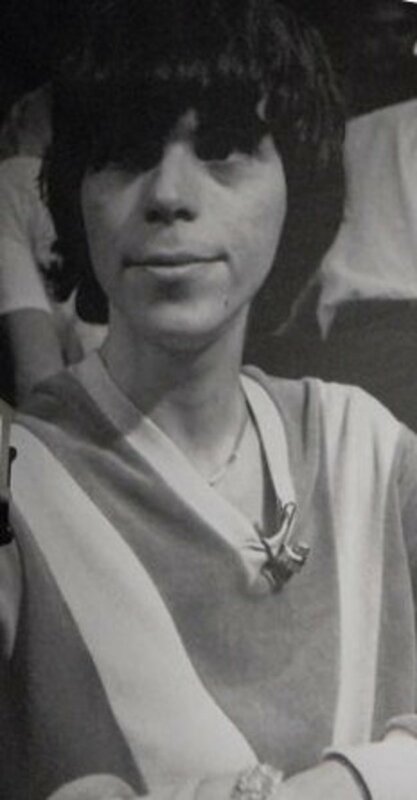 My Favourite is Stu Ungar. My father beat Stu Unger and Chip Reese head up regularly, so how can they be the best. Best tournament players, maybe. Poker is very popular game and has lot of fans including the fans of the well know poker players. I am fan of Phil Ivey and I follow him. I am very happy too see him in this best players of all time list. I've been playing poker for a while now against all types of players and beat the best tables single handedly over and over again. I rarely lose any battles on the felt, the only man I would fear at my table is Ungar. RIP Goat! I love reading your insight on the trailblazers. In the poker world. I especially liked the last paragraph with an exception. I would have loved to see Stu play ( minus the cocaine ) against Daniel. As was said about Ungar in 1997, the same can be said for Negreanu now . They both are the closest thing to a clairvoyant playing poker knowing what their opponents hole cards are as have ever been. I do concede that Daniel does not listen to that inner voice as much as he Stu did. That is a heads up match wish could have happened. Hi Billy. Ungar v Ivey in their prime would have been an epic encounter. Thanks for your comment. Hi Rocky. Slim was definitely a big character and one of the best players of the 1970s. You're welcome!! I enjoyed the article! Fair comment Andrew. As I've mentioned in some of the earlier comments, I certainly consider Negreanu one of the best players of his generation. Hey DaphneDL, thanks for reading and sharing your thoughts. A great list of online players, most of whom I've watched. I do miss Tom Dwan and dearly love Doyle Brunson. Hey Bryan, thanks for stopping by and sharing your thoughts. Hard for me to agree with the guys saying Negreanu isn't a good player. I think he's fantastic. Also, tough year for Ivey online but he's still a great player. Daniel Colman is someone to watch for in the next several years. Hi Wammut and Tommy. You've both mentioned some good players in your comments. Johnny Chan definitely featured on my shortlist when I was originally writing this article. Daniel Negreanu is the best hands down. Missing incredeble Tom dwan, the back to back wsop champ jonny chan and the big dogg greg merson. I agree Sam. The game is vastly different now than it was in the '80s and '90s and I wonder how Ungar would have adapted to the changes. All amazing players in their own right, I wish Stu had been on the scene for much longer, I would have loved to see him evolve as a player more. Thanks for your comment Pokerpan. You make an excellent point. Ultimately, comparing players from different generations is a futile and impossible exercise (it is fun and entertaining though). I certainly think that it's easy to overrate players from earlier generations because of nostalgia and myth. I think modern poker players have a much greater advantage in learning the game than yesterday's players because of internet poker and the boom in poker literature. Many of today's stars are playing sophisticated moves because they read about them in books then perfected them through thousands of online hands. 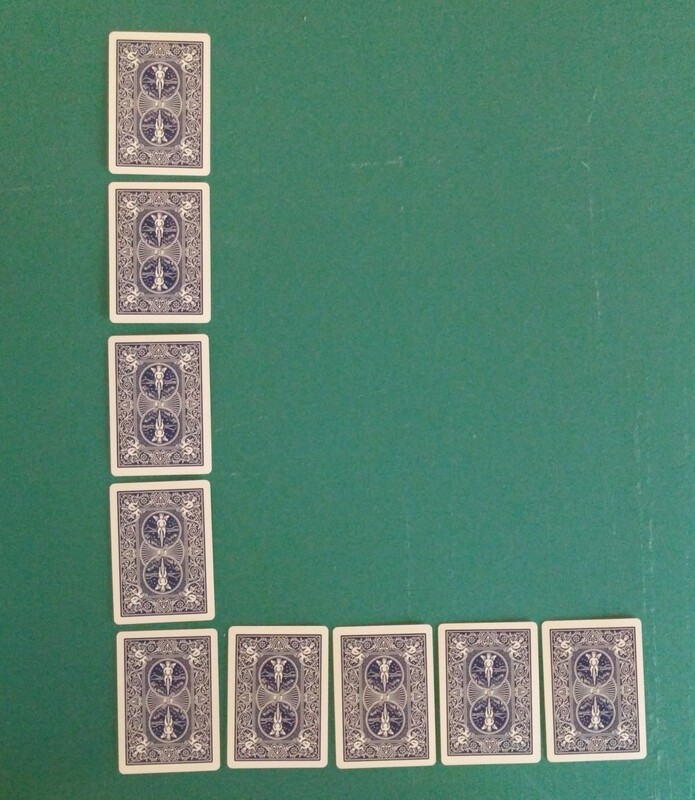 In the 1970s, players made these moves instinctively. I can't remember the exact quote but I think Negreanu once said something about previous generations knowing HOW to play great poker but not WHY it was great poker. Today, players know the HOW and the WHY. I appreciate the list, but if you're making a true list of the top 5 greatest players of all-time, Phil Ivey is the only player here who might make the list. And by "greatest" I mean most likely to win a tournament or make money in a cash game if you made these top players go against each other. Stu Ungar, Chip Reese, Johnny Moss, and Doyle Brunson were some of the greatest players of their generation and revolutionized the game. But the game has evolved beyond them, and more effective poker strategies have been developed. Modern players have more advanced game fundamentals and a better understanding of poker game theory. Other than Phil Ivey, who is one of these modern pros, none of the players on this list could out-compete a modern professional. The advancements in the mathematical/statistical understanding of the game has simply advanced too far. If you look at the WSOP and WPT circuits, high stakes cash games and successful online players, it is completely dominated by the new generation of players. 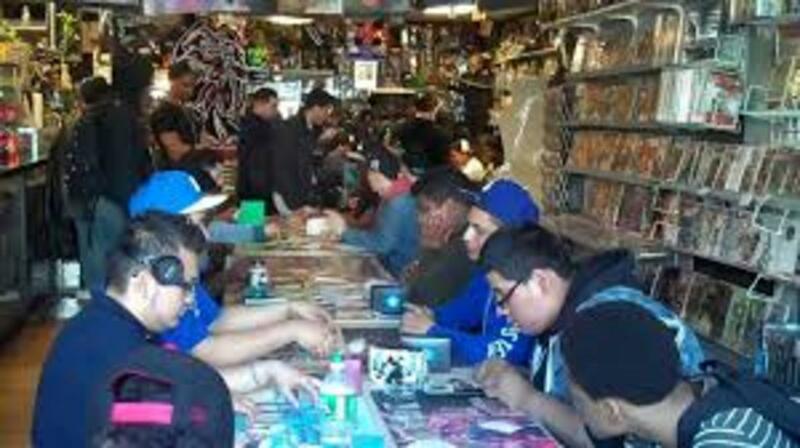 None of the old pros from the 60s, 70s and 80s have been competitive in modern tournaments or online. Even top pros from the 90s and early 2000s are not as successful as players from the last 10 years. Most of their books on poker and their theories about the game are now considered outdated. The only older professionals who have been successful are the ones who have adopted modern poker strategies. Again, I appreciate the effort put forth into making this list, but a more appropriate list would be to name the top poker players of their respective generations. Modern players are simply better. I'm also a huge fan Daniel Negreanu like others here, definitely my favourite by far. I agree with your list 100% but I'd like to see you do a list of of the best recent poker players in recent times, now that would be a much tougher list! Fair enough, thejournalists, but this is an article about 'best' poker players not 'favorite' poker players. I like Daniel Negreanu too! I'm not in the mood for a whole text, but sorry, my favorite poker player of all time will always be Daniel Negraunu! Dwan is one of the best players today, RawKnee, but I don't think he's done enough yet to be placed on the same pedestal as the players in this article. Hi Doc: I saw you at the hand strength chart in my stats page. I hate to leave Hubs but for no reason Google cut me off and won't answer my emails. I researched and found that it is a robot that is making their decisions. I am going back to ezine articles because I can use Chiitika which does the same thing as google. And I can also get my articles picked up on other blogs. Note: My rating of Negreanu is he is one of the best in the world. Only 2 to 4 percent actually make money over the long run and he is one of them. Gus Hansen has improved from being a constant loser the a tight player and winning money. My rating him was where he compared to the top five. Yeh good choice for Unger number 1. I'd have Negreanu up a bit higher though, and what about the great Dane, Gu Hanson. I agree with you with some slight differences that might be the result of my style. I find that consistently playing only good hands has some powerful positive advantages. This includes big pocket pairs where you want one to four callers max. 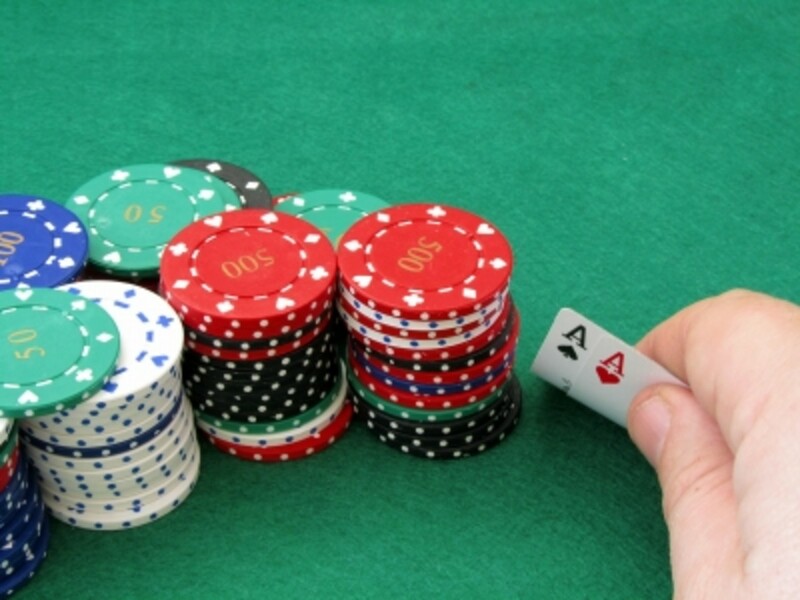 If you have a solid table image, the good players get out of your way and you always get one or two players who call with any suited or connected or any pair. This is true in games from $3/$6 limit to $200/$400 no limit. Staying solid always puts the odds in your favor when you get into a hand. I want to always know who I want in on the pot and who I want out. Making a raise and getting five to eight callers out of ten is to play a losing game. I new a man who only played AA, KK, AK and AQ suited. He never played anything else. He always got enough callers that he always made money. When you mix up your play the good players know what you are doing and the rest don't remember. Most players are calling flops because of what they have in their hand and play it the way they do without considering what you have. And making a show can cost more than a player can ever recover. If you want more callers that will reduce the odds of you winning, than show bad cards. You will always get more callers. I win 90 percent of the hands I play to the river. I have watched Daniel Negreanu call the flop seven and eight times per round several different times at different tables. He may have had an exceptional run of good cards but they don't keep happening time after time. I don't know if you still can but if you can watch him play on the Poker Stars real money website. An informative and intriguing rant David!! You are welcome to rant here any time you please. I think you are a little harsh on Negreanu. He actually made his name in poker pre-internet boom and ground out a living playing 10-20 limit before his first big year in '97. He plays junk starting hands to mix up his game and avoid becoming predictable. If you only play conventional starting hands from a chart then sooner or later, good players will notice this and start to exploit you. Negreanu is no different to many of the other top players in that they do play junk from time to time. But they do it sparingly, and tend to make a big deal out of it so that you remember. Like you say, Negreanu is very likeable. My only real gripe with him is that he seems to focus much more on his non-playing business ventures these days (see Full Contact and Poker VT etc). In contrast, Phil Ivey doesn't even appear to maintain or update his own website. He just plays, obsessively. I'd like to come back on a point about Doyle. 10-2 might not be a playable hand at 10 or 6-handed but Doyle made it his signature hand playing heads-up. A agree that we often see a lot of situations in the modern game where it seems players are willing to call with almost any two cards. I'm always reminded of the hand where Gus Hansen calls Antonio Esfandiari's all-in with 10d-8d in the WPT a few years ago (there might be better, more recent examples but I don't tend to watch poker on TV that often anymore). I'm not really inclined to say that it 'was a dumb call' or a 'genius call' because a) those guys play at a level way beyond mine, and b) it happened on an edited TV show where we don't know the table history, texture or prior hands. What I can say with 100% certainty is this: If I called all-ins with 10d-8d in my home cash game, I'd be constantly broke. Different levels, different game. It is true that Doyle's play has changed. He can tighten up and do some real damage though. I don't want to judge a man who has earned the kind of money he has consistanty won over the years. He seems, however, to have given in to the New Poker theory that you can play against the odds and come out ahead in the long run. I saw him play A-5 off suit and fill in the three space gap a few years ago. Don't forget that 10-2 is not a playable hand. Sometimes plain luck does win the money. Great plays with hands like 10-2, 8-3 and more hands like these have won the World Series Of Poker more than once. I hate to say it but dumb luck has provided a lot of money for several so called great players. Calling heads up with every two cards seems to be the modern stratigy. Hand choice seems to be, "I have two cards," call. I remember when players only called heads up when their hand had better than a 50/50 chance of winning the pot. Now it is who ever gets lucky. I think I am in a bad mood. I have said enough. Back to the great player on Zynga, Facebook. I win almost 8 million a day. Ok I will be back at a casino in three weeks. I may see you at Spirit Mountian. Thanks for letting me rant. I am avoiding raving. David hit post now. I have watched all of these players play. I also have played almost daily for 18 out of the last 28 years. I have consistently made money every year that I have played. This is not to brag but to back my statements here. I have learned that you can not come out ahead if you play hands that are against the odds. And you can not talk to get information against good players. The good players will start reading you like an open book. Interesting list facebookpokerguy. I'd only put Ivey in my top 5 all-time list but Negreanu wouldn't be far from my top 10. I'm glad you enjoyed it Carol. Thanks for reading. Thanks for your comment David. There were some tough players among those southern road gamblers - Puggy Pearson, Amarillo Slim, Sailor Roberts - and Doyle has outlived them all. This is very interesting especially for me a poker lover. Thanks for your comment Crisscross76. I agree with everything you said although the 'Jew' comment was pointless and borderline racist. Still, you made some good points so I'll let the comment stand. Stu Ungar d best. Ahead of his time. Despite being, well an arrogant, stinky, disrespectful Jew, he was the best. Hands down he was so aggressive and dead on with his reads that he can not be touched even today. The best ever! Thanks for your compliment on the hub Manthy. I put a lot of time into thinking about this Top 5 list and just couldn't find a way to rank Doyle above any of the four other legends. Brunson is 'Mr Poker' but I do think there have been better players...four better players to be exact. I think Doyle Brunson should be first, but thanks for the nice hub! Thanks for your comment Coding Staff. Poker goes back way too far for Doyle to be considered the father of the game. But you could possibly argue that he is the father of the modern game. He is certainly the most famous player of the last 40 years. Doyle Brunson should be the first! He is really the father of poker! Yes, all players are great! Thanks. I think Ivey is the best. Some good points there, and you're probably right that back in the day, it probably all worked for Doyle, but in 50 years Dwan just won't cut it. Like you said, can be applied to anything. Good idea on the hub stuff, I will follow you and keep an eye on what you write about, could maybe help each other out. Thanks for your comment. I think Doyle deserves to be in any top five list based on his achievements over the last fifty years. He's in his 70s now so there is little chance that he can consistently compete with the new generation. When you get old, your brain starts to slow down and your body begins to fail. That's why masters of both physical and mental games lose their edge as the years roll by. Throughout his career, Doyle has displayed a natural instinct for poker, far exceeding that of the average grinder pro, and his aggressive approach to the game is a style that has been mimicked by all of today's stars. I don't really watch HSP anymore so I don't know the hand you are referring to but I understand your point. Times change and usually the older players get left behind. Fifty years from now, an aging Tom Dwan will make an ultra-aggressive flop bluff in a high stakes TV game (the kind of play that makes him millions of dollars today) and find that he can no longer push opponents off TPTK or AA etc. As I said, the game evolves and the older players get left behind. I see you've written a hub on online poker. If you want some more ideas, why not write a hub about the best players of the 21st century, the most underrated players in the world today or your favorite hands (plus analysis) from HSP. I think there is scope for a ton of poker articles on Hubpages. But make sure you do your research before writing. Doyle might have kicked it all off, but he's nothing short of shocking now. He bleeds money every time he plays cash, well at least when its televised. Too much of a gambler, he doesn't really play with logic, more with his set routines. E.g. I check called flop with a backdoor, turned a combo draw, so I will check shove vs any bet. Well, that's not always correct, you have to take into account their possible double barrelling range on a drawy turn card like that when they know a check raise is likely, as well as fold equity. Anyway, random example that was, but he just doesn't have an edge on anyone these days. All he's got on his side is that he's not scared of the money. Remember his triple barrel vs Lex on last seasons HSP? Lex called him down with bottom pair no kicker, which was sick, but there's no way in hell Doyle was pot'ing a straight on the river so quickly. Good hub though, I might write one on poker... any ideas on a topic? Thanks for commenting Husky. I think if Ivey carries on like this, he'll be the undisputed all time number one within a decade. A very solid Top 5. 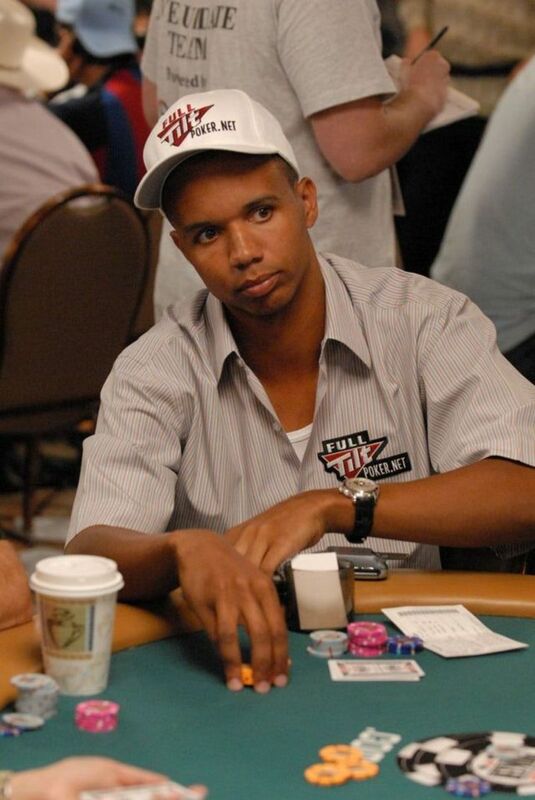 I have always thought Phil Ivey is the best.